On Sunday, April 26th, 2015 at the Grosvenor House in London, the Professional Footballers' Association (PFA) Players' Player of the Year Award will be given out to the best football player in England. The numbers in brackets are the current betting odds for winning the award. 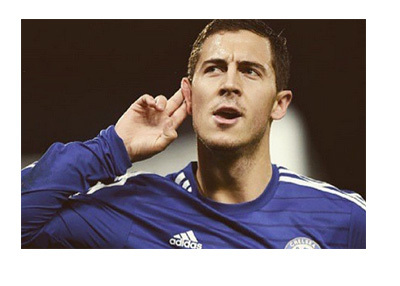 Looks like the Chelsea's 24 year old attacking midfielder, Eden Hazard, has this one wrapped up! The fact that he put one through the legs of David de Gea to earn a big victory vs. Manchester United on the weekend will probably help his cause. The winner is chosen each year by a vote amongst the members of the players' trade union, the PFA.